[CLOSED] Introducing our Blog of the Year competition! So, we’ve said goodbye to the Blog of the Week and we’ve ushered in our new Blog Posts of the Week feature – but we’re not quite ready to stop celebrating our favourite bloggers just yet. We’ve got one last hurrah in the form of our Blog of the Year competition, and this time we’re handing the big decision over to you, our customers and readers. 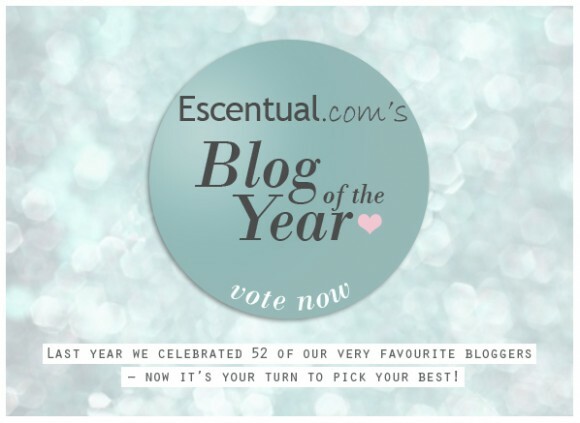 We’re offering you the chance to vote for your favourite out of our ‘Blog of the Week’ recipients, or nominate your own preferred blogger for Escentual’s Blog of the Year. The lucky winner will receive a £250 Escentual gift voucher with which to expand their beauty collection. The winner will be picked based purely on the amount of votes they receive – we want to know which blogs YOU enjoy the most. Voting is open until 1st February, and you have just one vote so choose your favourite wisely! If you have your own beauty or fragrance blog, grab one of our Vote For Me stickers (right-click and save the image below) and get your readers voting for you. Alternatively, if a favourite isn’t listed you can still vote for them – click ‘Other’ in the drop-down menu and then tell us the name of the blog that you enjoyed the most last year in the box provided. 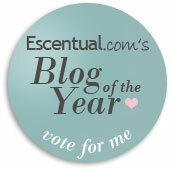 Blog of the Year voting has now closed – keep your eyes peeled for the winner! This entry was posted on Friday, January 6th, 2012 at 2:10 pm and is filed under Blog of the Week. You can follow any responses to this entry through the RSS 2.0 feed. You can skip to the end and leave a response. Pinging is currently not allowed.